For the iPhone users iMessage waiting for activation is a big problem and different from other problems. 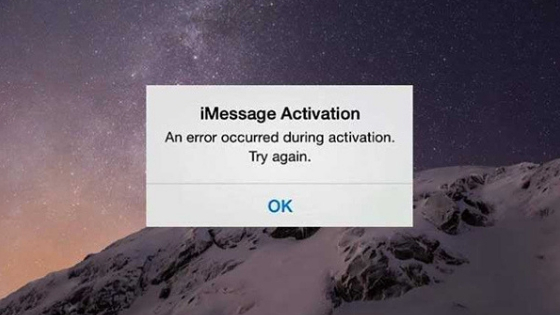 The iMessage activation not working error has many different reasons behind it. There may be a simple bug or problem with your cellular company that is easily solved. During such a situation, you might get a question that how to activate iMessage. So for that, there are some recommended fixes for it. If you get this error after changing your iPhone, then call your carrier. Even iMessage says waiting for activation problem is also occurs due to the iOS updates. Due to this error, one can’t use the iMessage. If you are also many of one who is facing the same problem, then do not worry as we are here with the same problem fixes. If you are wondering why iMessage is not activating or why it will not working then here you will also find the answer for it. This will happen when you try to use iMessage on Windows and iMessage on Android. In some case, it happens that iMessage take too long to activate, but this too long is nor more than 24 hours. So if you receive a notification that says, iMessage not working, then it is safe to assume that it is not working and find the solution to fix it. Often, when you get this error, you can solve it by changing some settings or on and off some services. Even by signing out of iCloud and sign in in the same account may also solve the problem sometimes. If you upgrade to the iPhone X and find the same problem, then contact your cellular company, and they will solve your problem within some time. Before you start the fixes, make sure that your iOS is up to date. To check it go to Settings >> General >> Software Update. Also, check your internet connection or Wi-Fi connection from the cellular data or Wi-Fi in Settings respectively. Also, check the date and time from the settings. To solve this date and time problem, set the time zone automatically. 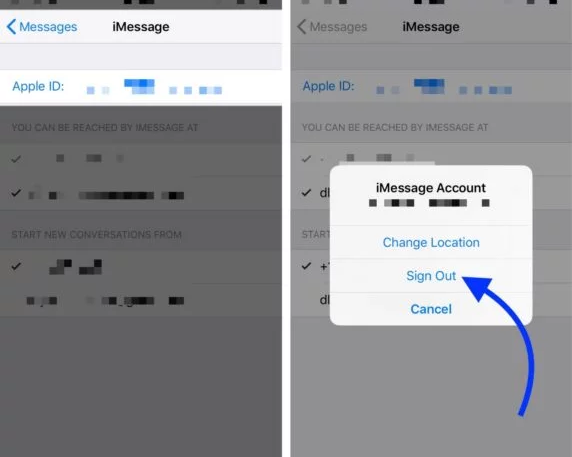 At last, if you have tried all of the method given in this article and even after 24 hours it is not working then go to the carrier that supports iMessage and make sure that they don’t have set a particular limit to send a message in a day. Your iMessage requires a good internet connection to work properly. So first check that your internet connection is running well. Settings >> Cellular/Wi-Fi >> turn it off >> reboot device >> turn on Wi-Fi/Cellular. After trying this, go to start iMessage. If you find that the problem continues then go to the network settings and reset it. 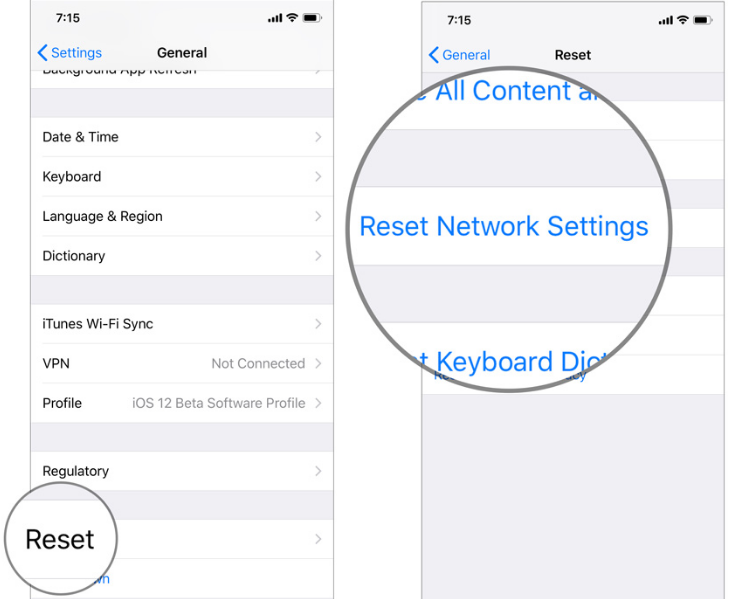 By resetting the setup, it will delete all the existing network settings and set as default. To do it here is the path. Go to Settings and then into General >> Reset >> Reset Network Settings, enter your Password and Confirm. And you are done. Check the problem is solved or not. If not then go to the next fix. Give a new start to your iMessage and your iPhone. It also works well for many users. We hope it will work for you. 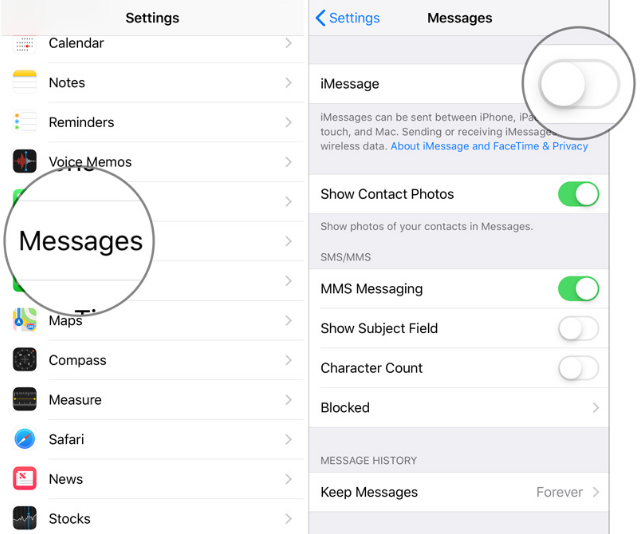 Step #1: Open Messages from the settings app. From message turn off iMessage. Step #2: Next reboot your device. The reboot process is different for a different device. For iPhone 6s/SE or earlier, press the home and power button together for about 10 seconds. For iPhone 7/7 Plus, press the home button and volume down button together. To restart your iPhone 8 or iPhone 8 Plus or later, first press and quickly free the Volume Up button then do the same with the Volume Down button. And at last press and hold the Side button for few seconds till you see the Apple logo. Step #3: When your device restarted, go to iMessage and turn it on and check the problem is solved or not. To improve performance and solve the problems, the carrier provider also releases the update. 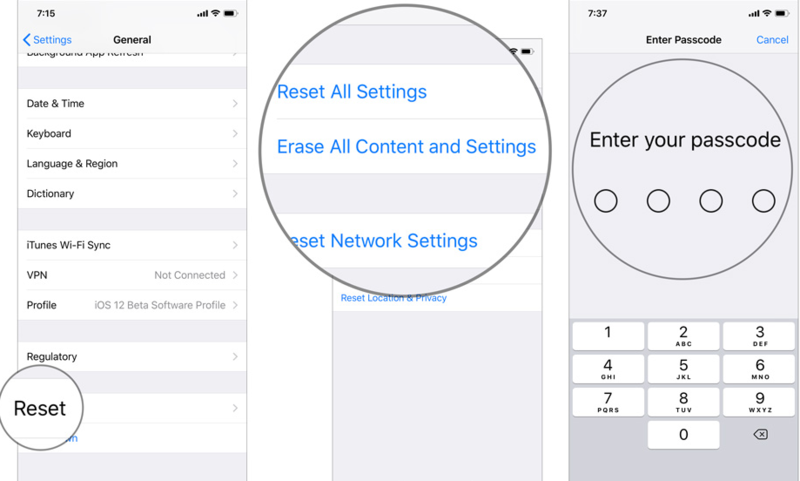 Update your iPhone’s carrier settings with the steps are here. 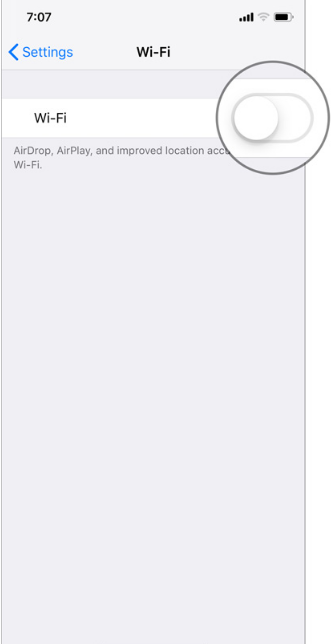 Step #1: Enable Wi-Fi or Cellular data on your device and go to Settings >> General >> About. Step #2: Now, check for the update. If a new update available, you can see it. The version is shown next to the Carrier in carrier settings. When you insert a new sim card, you have first to download the carrier setting in your iPhone for your new carrier. Not yet get the solution to the problem then try this fix. Here you have first to sign back into it again. Yes, it is funny but works for some users. Step #1: Go to setting >> Message. In the message scroll down till you find an option of ‘Send & Receive’ and click on it. Step #2: Click on the Apple ID and choose the Sign Out option. Step #3: Switch off iMessage and after few minutes switched it on. Step #4: Now log in by enter your Apple ID details and check you find the solution for why is my iMessage not activating. When an Apple releases a software update, it causes many diverse issues, and this problem is one of them. So to solve it first update the software from the following path: Settings >> General >> Software Update >> install it. The last solution is a little tricky as it will remove all your existing content and settings and restore your device. So it is desirable to take a full backup of the device before preceding to this fix. First, go to Settings >> General >> Reset >> Erase All Content and Settings >> Enter iPhone Passcode >> confirm. Now set up your device as you needed. Next, go to the iTunes. Open your pc and connect your device through your pc. To connect it go to computer >> fire iTunes >> choose the device >> Restore iPhone and confirm the restore option. After this process, your device will work correctly. Now go to iMessage and enable it. And enjoy your app. It is all about iMessage waiting for activation fixes. Hopefully, any of the above solutions will work for you. In case if any of the above processes will not work for you then contact Apple for further help. Thank you!